Last week, I knew I would be going to a friend’s new house for the first time and wanted to make a housewarming gift. I had been thinking about potholders lately as a good use of alllll the extra batting I have lying around. 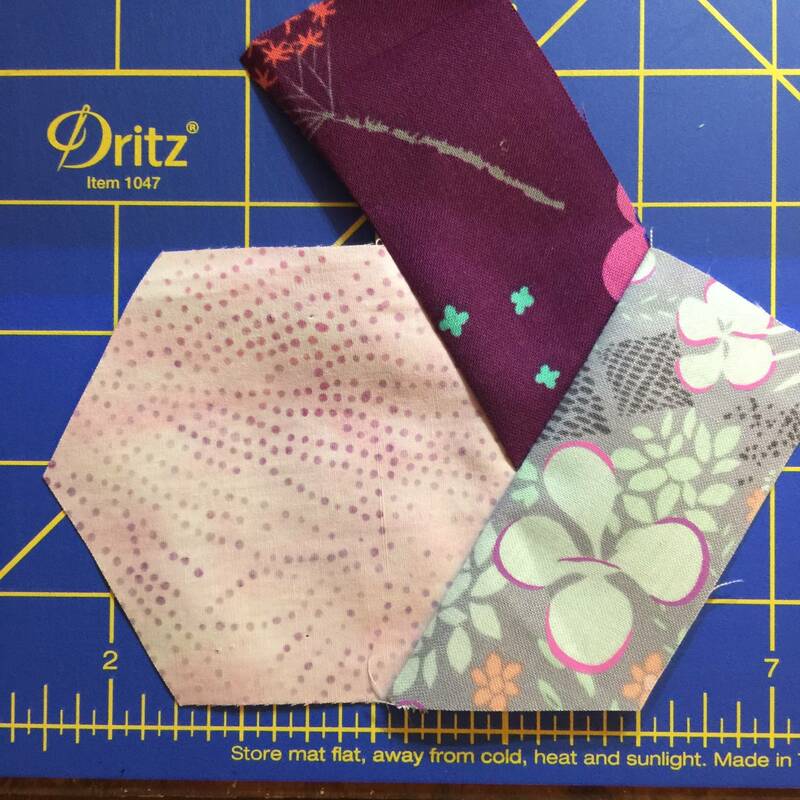 So I searched “potholder” on pinterest and immediately found the cutest tutorial by Sew Can She. I think I’m obsessed. 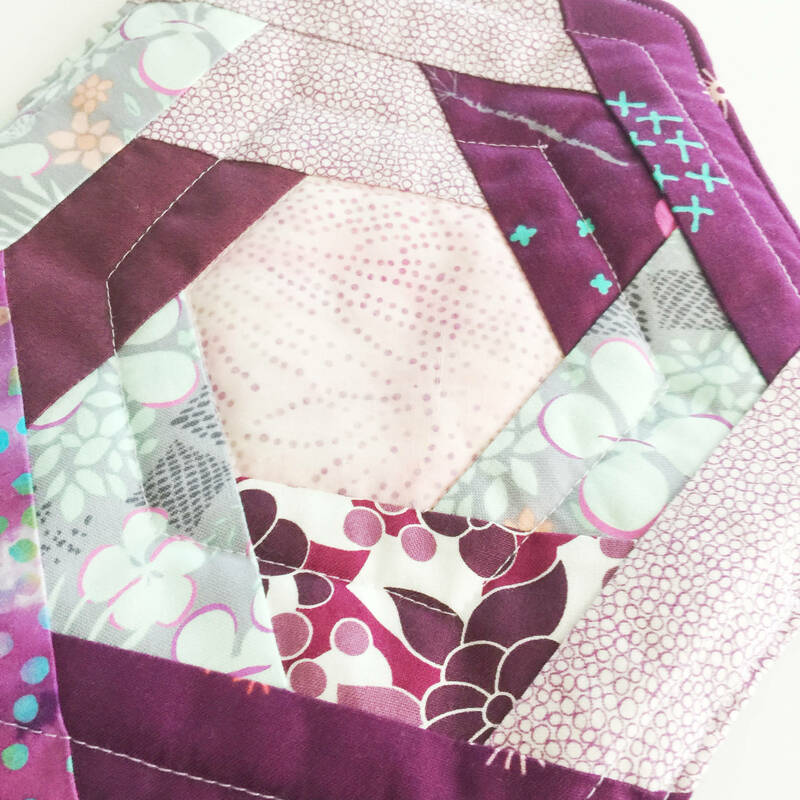 This is such a fun use of scraps you have lying around, and the hardest part is picking out the fabric! At least, the hardest part was picking out the fabric (and doing that topstitching through all the layers + twill ribbon. not so pretty). First of all, read the directions before you start sewing. I looked at probably 2 pictures and then started, missing that the title of the post mentioned “partial seams.” I seriously didn’t notice until I was linking back to the post. 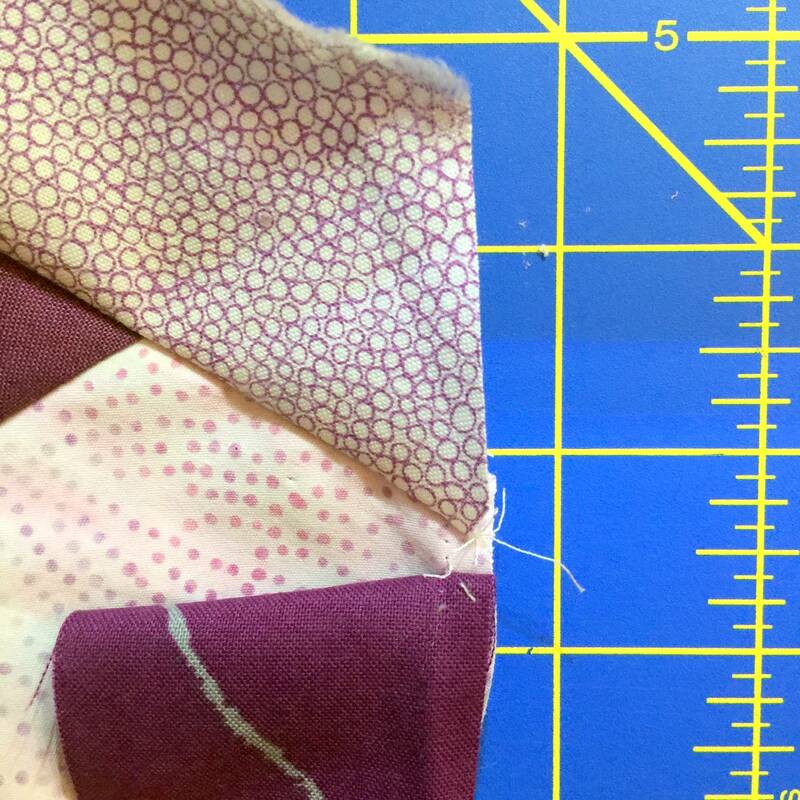 If I had read the instructions, I would have seen that the first strip added to the hexagon uses a partial seam, and I wouldn’t have been ripping out stitches. Since Sew Can She wrote a great tutorial, I’ll just show a few highlight photos from my attempts. 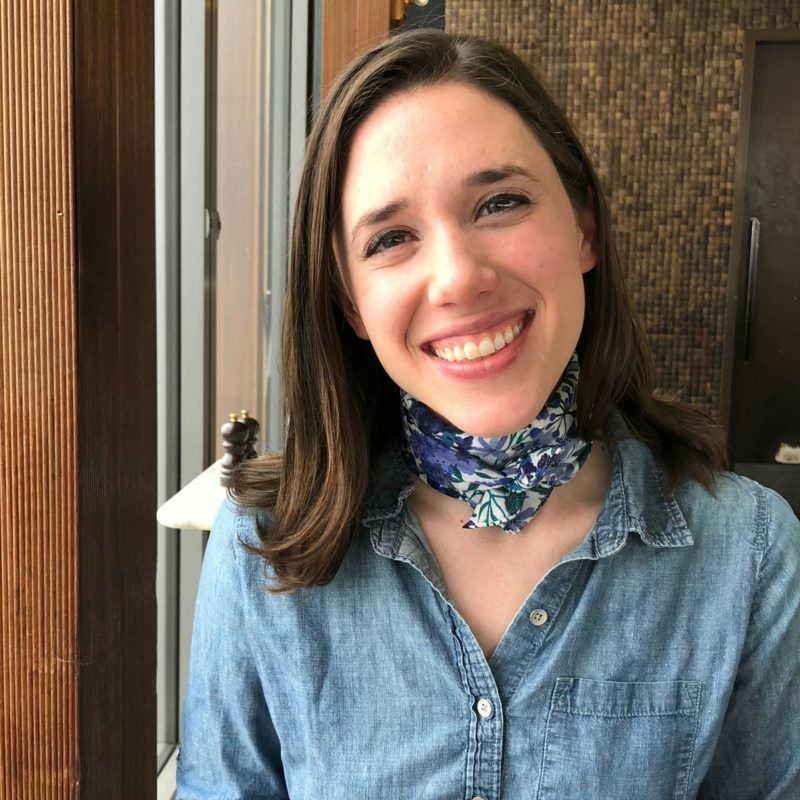 She has similar photos on her blog. Another thing I love about this project – If you’ve read my blog at all, you know I love log cabin! 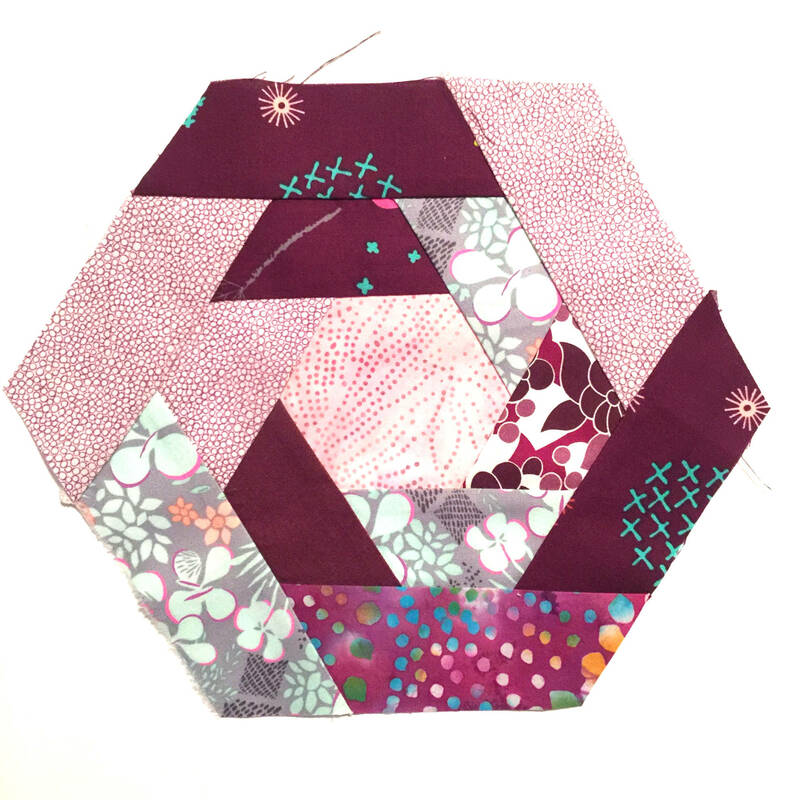 This tutorial uses a log cabin rotating technique to build the hexagon. This is an example of where I didn’t read the instructions. No partial seams for me! I just ripped out the seams. Oh well. The end result looked good! I LOVE all of these fabrics – maybe too pretty to actually use, but perfect for a gift! Here’s a closeup of the quilting on the potholders. Don’t forget to use insulated batting! This pattern introduced me to Insul-bright insulated batting. It does make this super annoying crinkling noise, so I’m going to research how many layers of normal batting are necessary to protect from. I’ll let you know! I think I’ll be making more potholders in the future, and I have so much inspiration! I love these mini quilting projects, and they’re much more practical than mini quilt wall hangings. 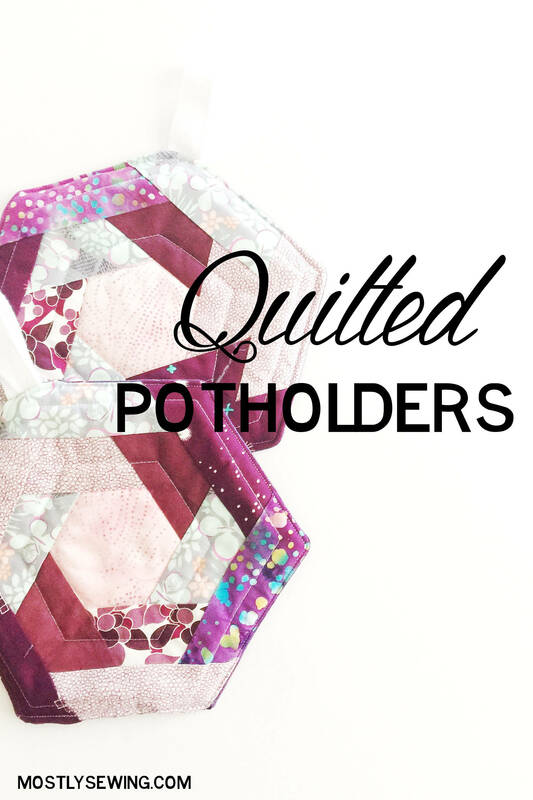 Have you tried making any potholders? Do you have any insulation tips?